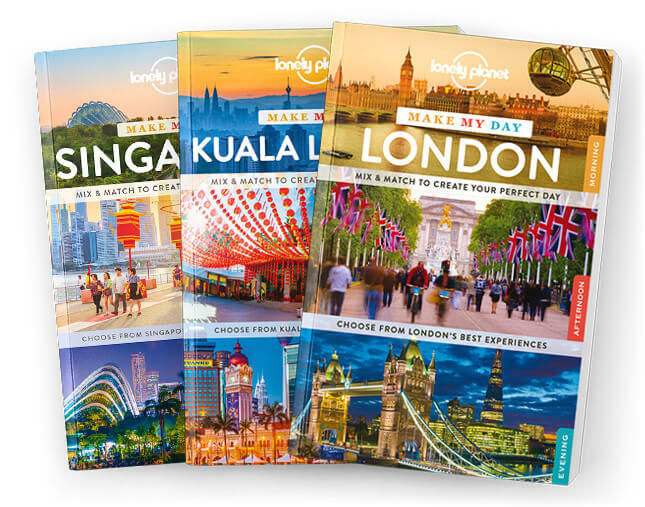 Lonely Planet Make My Day Kuala Lumpur (Paperback) is a unique guide that allows you to effortlessly plan your perfect day. Flip through the sections and mix and match your itinerary for morning, afternoon and evening. Start the day at Merdeka Square, spend the afternoon roaming the Bird Park and visit the stunning Petronas Towers in the evening; all with your trusted travel companion. Planning your city adventure has never been so easy and fun. What is a Make My Day book? Fun and interactive, these flipbooks are perfect if you like to ditch pre-planning in favour of impromptu, on-the-go decision making to create your perfect day. Their unique format allows you to mix and match ideas for morning, afternoon and evening.